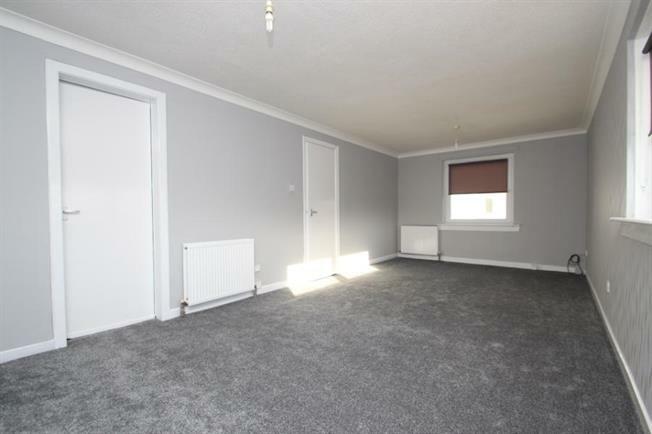 3 Bedroom Terraced Maisonette For Sale in Irvine for Offers in the region of £45,000. Enjoying a prime town centre location, immediately convenient for shops, leisure facilities and buses, this splendid upper maisonette property is formed over 2 floors and as such provides a superbly spacious and flexible layout of accommodation for growing families. The layout comprises of a welcoming hallway in which access to all apartments is granted, a spacious lounge with space for dining table and two large windows allowing plenty of natural daylight to fill the room. A modern fitted breakfasting kitchen sits off the main lounge and provides a full compliment of both base and wall mounted units, cloaks wc finishes off the accommodation on the lower level. On the upper level you will find three well proportioned bedrooms with two allowing for double and the third slightly smaller in floor space. You will also find the recently installed family bathroom. Furthermore the property includes double glazing, gas central heating and residents parking. The home has been refurbished throughout with a modern feel with freshly painted walls and new carpets. EER Band C.